BETHLEHEM (Ma’an) — Following up on a campaign pledge from US President-elect Donald Trump to move the American embassy in Israel to Jerusalem, Trump’s senior adviser Kellyanne Conway reiterated on Monday that the move would be a “very big priority” for the Trump administration. If implemented, the controversial move would give legitimacy to Israel’s illegal occupation of East Jerusalem since 1967, disregard Palestinian claims to the city, and terminate a longstanding White House policy to perpetually defer a 1995 Congressional decision to recognize Jerusalem as the Israeli capital and move the embassy there. Earlier this month, US President Barack Obama renewed a presidential waiver that again delayed plans to relocate the embassy for another six months, citing “national security interests,” as every US president has done since Bill Clinton. 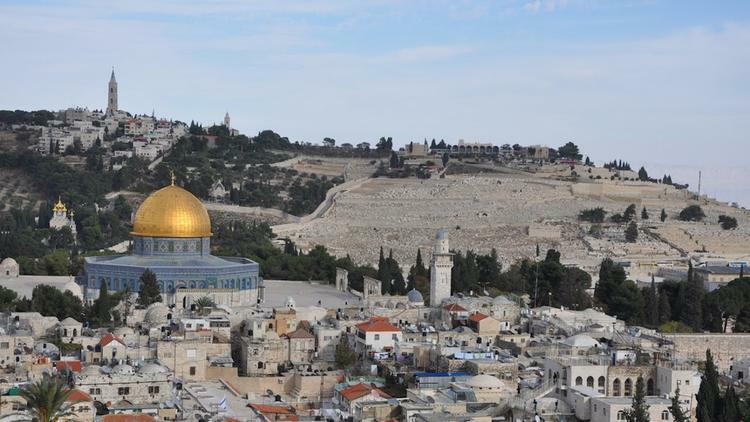 While many countries have consulates in Jerusalem that cater to citizens residing in the occupied Palestinian territory, the majority of embassies to Israel are located in the Tel Aviv area. Last month, in response to Trump’s initial comments on the issue, Palestinian ambassador to the United Nations Riyad Mansour threatened to “make life miserable” for the United States at the United Nations if the embassy was moved, pointing out that such a decision would represent a violation of UN General Assembly Resolution 181 regarding the status of Jerusalem, and constitute “belligerency” towards Palestinians. Both Bill Clinton and George W. Bush made similar promises to move the embassy during their presidential campaigns, but once in office they signed the waiver required to avoid following through with the move. “If they do that nobody should blame us for unleashing all of the weapons that we have in the UN to defend ourselves, and we have a lot of weapons in the UN,” Mansour added. He stated that the Palestinian Authority (PA) could force the US to use its veto in a Security Council over the PA’s admission as a member state, or “reopen the whole Pandora’s Box” with regards to International Criminal Court rulings regarding Israel’s illegal settlements and separation wall in the occupied Palestinian territory.